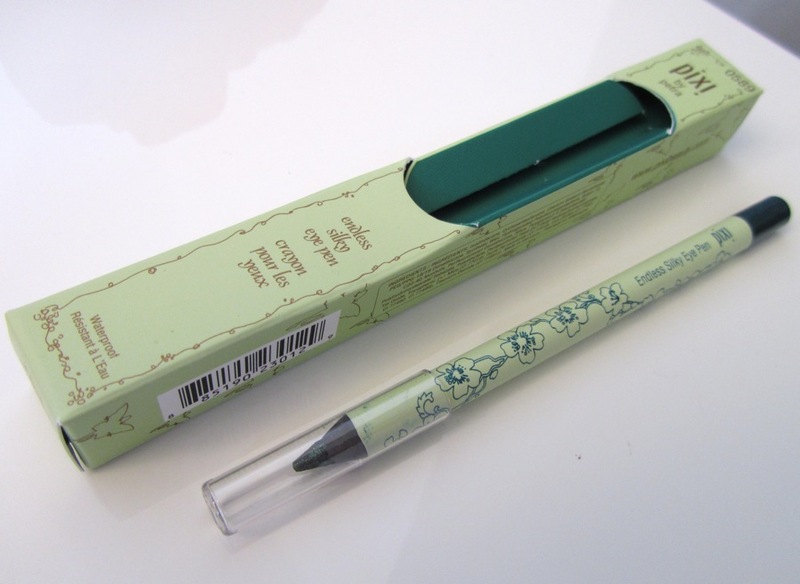 Since purchasing Pixi Endless Silky Eye Pen Emerald Gold (£11/US$15) earlier this month, it has become a fast favourite. It glides on with the effortless ease typical of Pixi's eyeliners, with a gorgeous shimmery metallic finish that stays budge-proof throughout the day even in sweltering summer heat. 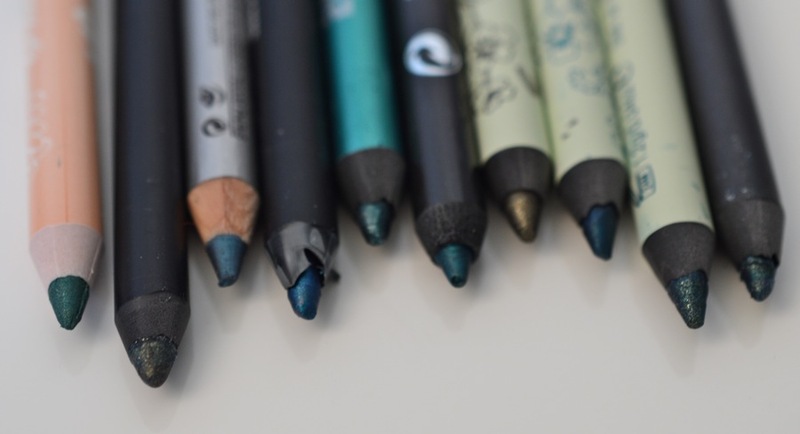 A single pass produces an intense wash of color that can be smudged and blended before it sets. 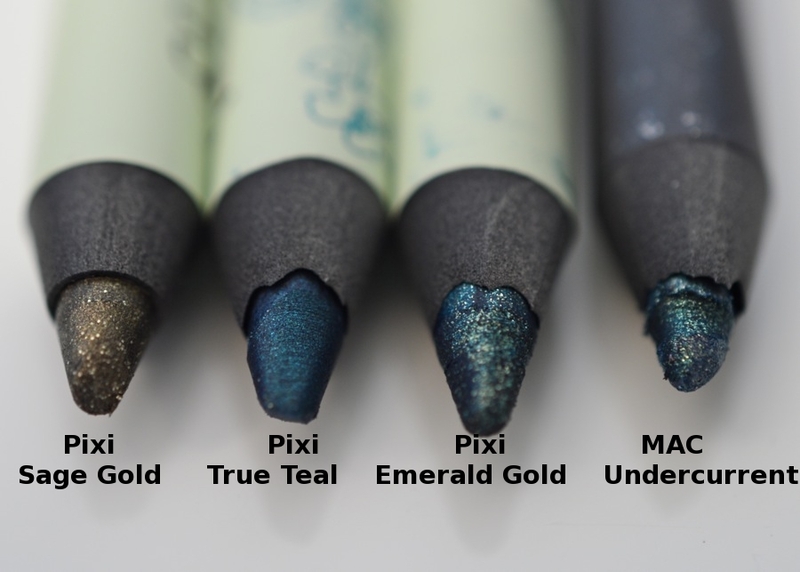 The lovely emerald shade with gold flecks is a welcome addition to Pixi's current line-up as True Teal is matte while Sage Gold is more olive toned. MAC Pearlglide Intense Eyeliner in Undercurrent and Urban Decay 24/7 Glide-on Eye Pencil in Covet are similar but with a slightly deeper green tone than Emerald Gold. 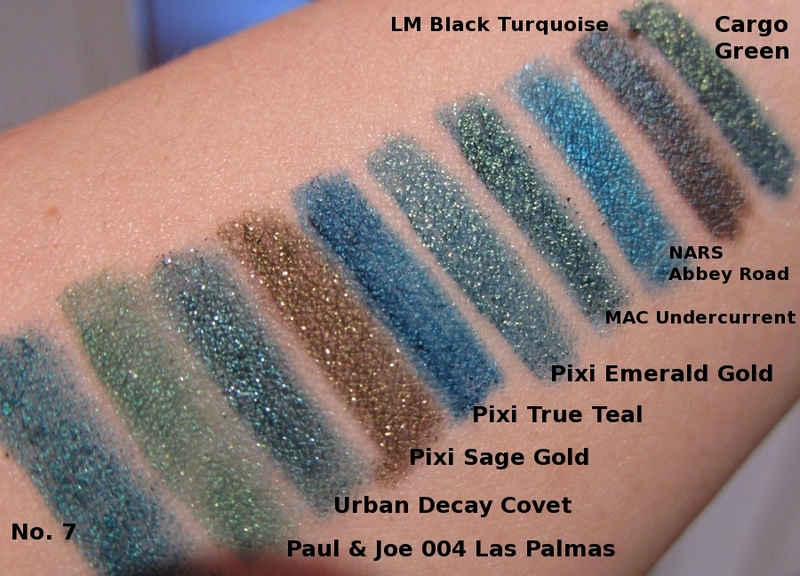 Below are comparison swatches with other emerald/teal/turquoise eyeliners in my collection. 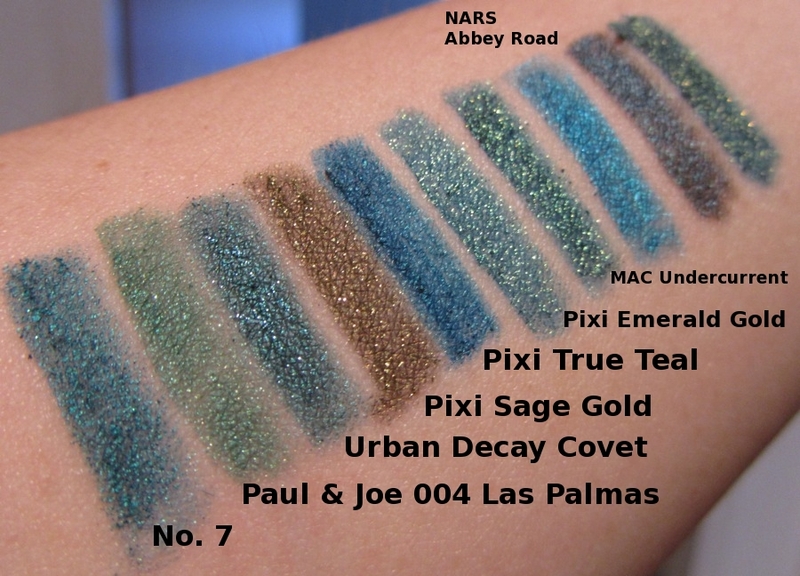 My favourite brands for eyeliners are Pixi, followed by MAC and Urban Decay. 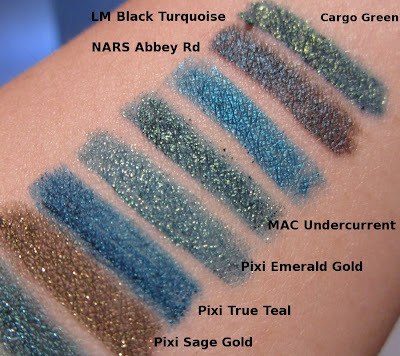 The Cargo Swimmables Eye Pencil is also good while NARS Larger Than Life Long-wear Eyeliner in Abbey Road was a bit of a disappointment. 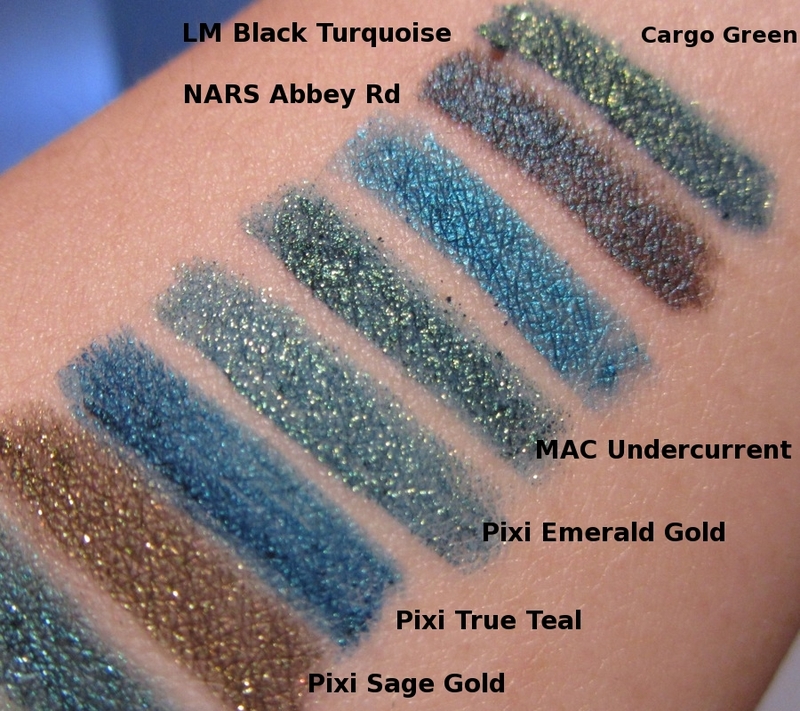 I will definitely re-purchase Emerald Gold once I finish it. 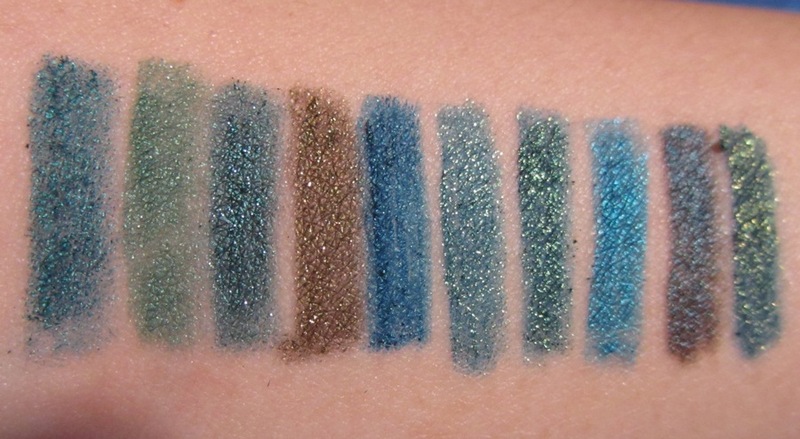 The combination of top-notch quality and affordable price point makes it a no-brainer. Below is the list of ingredients. 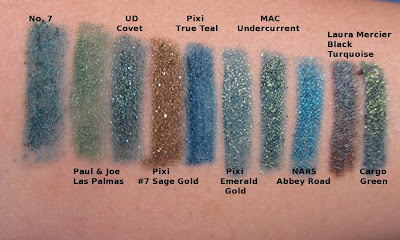 Pixi is available on Beauty Bay which offers free international shipping, or if you are in the US, on Target.com, although the fall collection has yet to arrive on both websites. You can see swatches of my other Pixi eyeliner pencils in this post. 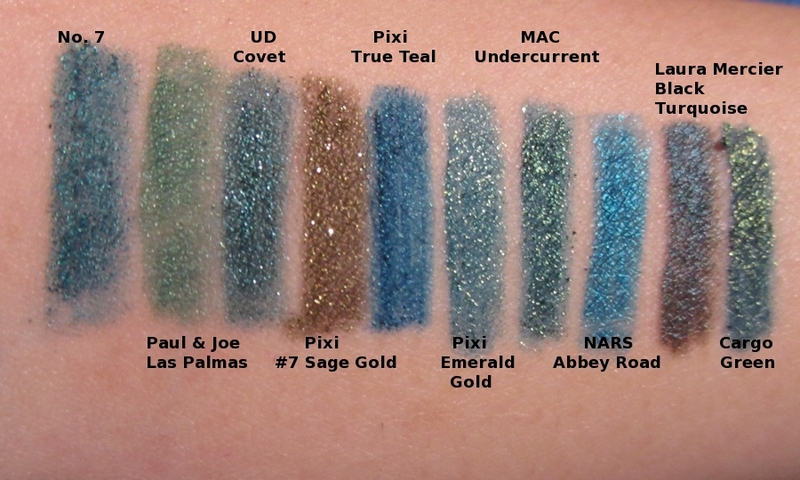 Thanks for pointing me to beauty bay!